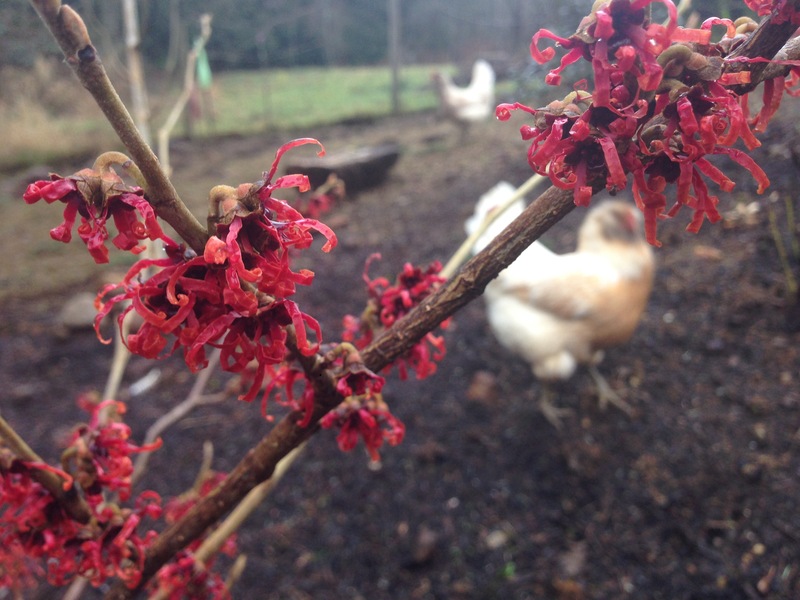 Not only is my “Jelena” Witch Hazel blooming, but the NW Flower and Garden show starts on WEDNESDAY. I can hardly wait. Wow!! It is the icy, snowy dead of winter here in Toronto. How to get my mind around your springy soil and blossoming plants! I do realize how lucky I am to have workable soil in the winter — even though I’ve been told I need to leave it alone or I can mess with the ‘soil structure’ if the ground is too wet.